In Japan, the future is here. 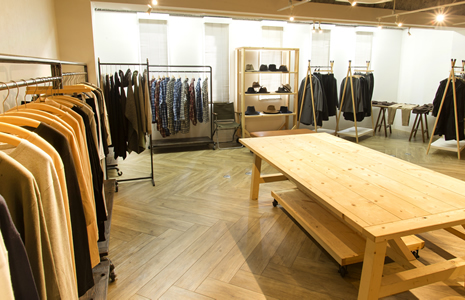 The Japanese fashion market is among the most dynamic and vibrant in the world today. From street-smart Harajuku to upscale, glamorous Roppongi, Japan is a nation forever innovating, seeking the next breakthrough, the next smash hit. Because of its eclectic, varied tastes, the Japan market is a perfect place for forward-thinking brands seeking to make the next step and expand their business overseas. Who we are, and how we help you succeed. That’s where we come in. We specialize in middle market firms ($1-15 million) and individual brands who are newcomers to the Japanese market. 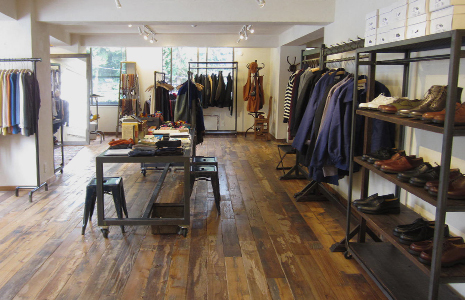 Our clients trust us, and with good reason: for 20 years, we’ve worked closely with many of the top retailers in Japan, building deep connections and trust with big names like BEAMS, SHIPS, and United Arrows. . Unlike typical distributors, we work closely with you to tailor a strategy for success. Together, we will pick out products from your current collection, develop new products, and create a comprehensive marketing plan to maximize your impact on the Japanese market. But our experience is not simply limited to Japan. We have also collaborated successfully with retailers in other Asian markets, from [insert two markets that you have succeeded in]. As such, we can bring your products (and your brand) to other countries in Asia. Bringing your products overseas is never easy; you’ll need someone with experience, connections, and most of all, the business savvy to make it work. Send us an email today, and let’s chat about how you can expand your business onward, to new horizons.